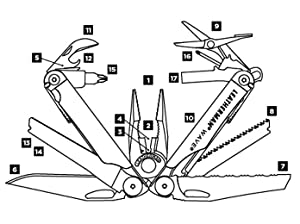 The Leatherman Wave Multi-Tool is one of the most famous multi-tools in the world today. First conceived in 1998, it was re-designed in 2004 with larger knives, stronger pliers, longer wire cutters, and all-locking blades. This International best-seller is made in Oregon, USA. An excellent and well thought out tool, it offers access to all its tools while in the folded position. It operates exactly like a pocket knife except for the fact that it has a lot more options. Many accessories and parts such as a nylon sheath, a quick-release pocket clip, a lanyard ring, a bit driver extension, and a 21-piece double-ended bit kit can all be added to this tool to increase its functionality. This is an excellent product for anyone who spends a lot of time in the great outdoors. A great companion to any survival kit and toolbox. Don’t forget to include this tool in your “emergency preparedness” kit. The Leatherman Wave is an excellent Multi-tool. This model comes with 17 popular and useful tools. This tool belongs in every survival kit and in every EDC. It will not replace your entire garage or workshop of tools, however, this is a very solidly built tool, easy to hold and easy to carry around on your belt. It comes with a leather sheath or you can purchase a belt clip if you so desire. There are many accessories and parts that can be purchased aftermarket. The makers of this tool have so much confidence in this tool that they offer you a 25-year guarantee. Where else and how often do you see such confidence in a product! Contact Me if you have any comments, questions, or suggestions, about this popular and convenient Multi-tool. Do not hesitate to leave them in the space below. I will do my best to answer them all in a timely manner. I would appreciate all comments on this very popular tool, especially if you own one. The product reminded me of a spider for a minute- It looks like a formidable tool to have for emergencies.Its a pocket knife with army swiss knife feel about it. Thanks, Richard for reading my Review. It is a superb tool to own period. IMHO, The Leatherman Wave, is much more capable than the Swiss Army Knife. With its many functions and accessories, it fills a big void in all survival kits, EDC bags, at home, and in your vehicle. Ironically, it is even more important in households that do not have many tools. This is a tough, durable, and reliable tool. Every household Emergency/Earthquake Preparedness Kit should have one. When compared to ALL the tools it replaces, its weight is quite small. It does look a bit intimidating at first, but when you open it and start using the tool it is very user-friendly. The 25-year warranty and the value to cost ratio seal the deal. If all my purchases were this satisfying, I would be a very happy man. This is an excellent Christmas, Graduation, or Birthday Gift idea. Hello there Paul. Thanks for the great review of the Leatherman Wave. We live in Oregon and drive past the Leatherman offices all the time. They make an amazing product and are very popular here in Oregon. We’ve purchases a ton of “multi tools” in the past that are cheap Chinese knock offs. They work for a while, then break, won’t keep an edge…and just otherwise stink. The Leatherman is more expensive but they last! I don’t mind the extra weight of this tool…looks like the perfect new addition to my hunting pack. Thanks for the great review. I’m adding this to my birthday wish list. Thanks, kmv, for reading my review of “The Leatherman Wave” multi-tool. This is perhaps the BEST multi-tool available on this planet. I find it fascinating that you pass by this place often. They do make an awesome product. Quality always feels better when you are fortunate enough to have it in YOUR hand. The extra weight IS the Quality! It belongs in your hunting pack and on your birthday wish list. I have worked with tools all my life and this is a “real tool”. All the imposters and all the knock-offs, stand in awe, when they face this champion. You must feel very proud to live in the same community that produces this fantastic tool. 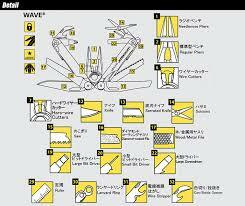 Long live The Leatherman Wave! I own one very similar to this. I swear by it. It gets me out of a lot of trouble. The only problem is, I have 3 sons who also like it and I can never find it when I want it. Thanks for stopping by to read my post. Given that 2 more multi-tools would fill the bill, that may be your best option. 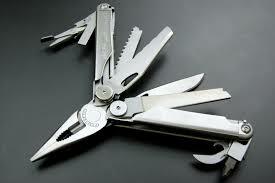 Then all 3 sons would have a Leatherman and you could play the same game on them. It may be harder for you to borrow their Leatherman. I have 2 sons and they can be hard to bargain with at times, especially when they have support from my better half. Looks like I might be retiring my Swiss Army knife and exchanging it for the Leatherman wave! This multi-tool has more useful tools on it and looks very versatile for emergency and outdoors survival needs. The price tag is not too bad either since it offers a 25 year warranty. I don’t mind the weight so much. All it needs is a light on it and it would be perfection! It is an excellent tool indeed. 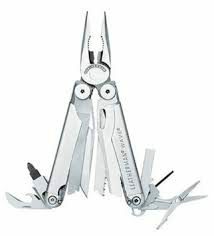 I have owned one of these “Leatherman Wave” multi-tools for years now, and I must confess that they are even more useful and good-looking than they appear on paper. To hold this superb tool in your hand is a great feeling. They do belong in all survival kits and EDCs. They are owned and used by many professionals and this attests to their worthiness. The 25-warranty is another winner. To have that much confidence in a product, is nowadays, almost unheard of. I’m sure someone must have suggested adding a light to it, but if not, I may mention your suggestion at the AGM, … lol. We wouldn’t want to make it perfect, now, would we? Perhaps Santa will read my post. Thanks for stopping by. Leatherman Products have an excellent reputation, and this 8.5 ounces, contains a solid, well-built tool. When constructing your Survival Kit, it’s important to consider the type of environment you will be in. For me, this is a backup knife and toolkit. Make sure that you will need screwdrivers if you are going to be lugging them up and down the hills. These are the first 5 must-have items that I make sure to never leave home without. 1) full tang knife and means to keep it sharp. 2) a firestarter system. 3) a tarp or similar heavy gauge plastic for shelter. 4) a metal pot for boiling water, and 5) small and heavier size rope. I’ll throw in another two… 6) compass, and 7) headlamp, … I’ll let you consider some more and get back to me with your suggestions. I have spent a lot of years in the Coastal Range and the Northern Rockies. I think you’ll like my approach to Survival Kits. When I wasn’t roaming the boreal forest, I was in the construction industry. I have spent a lot of time in the mountains and working with tools. This is not to give you the impression that I am the last and only word on tools and survival kits. I live in theFraser Valley and maybe we can “show and tell” our kits one day. I’d be happy to help you with anything that’s outdoors or even construction related. Thanks for sharing your review of the Leatherman Wave. I’m building up a survival kit and I asked around among my friends and coworkers what they would recommend and most of them said to check out the Leatherman products. Seems this one at 8.5oz is a little heavy, but that’s a small price when you consider all the positives and different tools it has to offer. Now as a hiker and nature lover, this is probably one of the most useful tools I have in my belt. I never go out without my Leatherman wave multitool. I have tried a few different sheaths, but find the nylon one the best by far. I think mine is from 2008, been using it almost every weekend, and sometimes in the weekdays as well. This is a tool that don’t “just” break down. You don’t get any tool more valuable for under 100 bucks! Hi Thomas, and thanks for stopping by. Experience is always the greatest teacher. Spending time outdoors with this tool attached to your belt really makes you appreciate its value. The fact that you also find use for it in you day-to-day activities is another bonus. As you mention, this well-built, practical tool provides excellent value for your hard earned money. This makes it a real winner and a must-have to bring with you at all times. What tools do you consider as must-haves? What tools or other pieces of gear or equipment do you carry with you in your outdoor activities? Sometimes it’s good to approach a situation from a different point of view. Your suggestions are two very practical solutions for this tool. The car glove compartment and the office are great places to have this handy tool in. I tend to lean towards this way of thinking also. A bit too heavy to carry unless you are young, bulletproof, and a “gearhead”. I say this with all due respect to the aforementioned. I used to fit this description myself. Thanks for providing these suggestions and do drop by again. This tool is a beauty. I would suspect that campers would make good use of this, but it’s also a useful addition to the glove compartment of any car. One never knows when that unforeseen emergency is going to arise. As one reader pointed out, it is a bit heavy at 6.5oz to lug around in shirt or trouser pockets,and personally, I wouldn’t wear one on my belt unless hiking in strange terrain, so as well as keeping one in the car, I’d take one to the office too. With 17 different tools, the Leatherman Wave is a surefire winner. Good Day Leo, and thanks for stopping by. You are quite correct in that this tool is not really pocket friendly. This Leatherman Wave does come with a leather sheath that attaches to your hip belt through a loop. There is also a nylon sheath and a lanyard ring that can be purchased after market. This tool is almost always worn on your hip and is used for outdoor activities or by tradesmen that need occasional access to a few small tools. There are smaller, lighter versions of this tool, that may be more relevant to your application. If you have any other questions or concerns about acquiring Multi-Tools, in the future, please do not hesitate to stop by again. This definitely sounds very handy with the 17 tools on it. However the weigh and size does not seem very pocket friendly but i would presume it will do good if you put it in your car or bag and when you are faced with a situation, it definitely gonna come across as essential. I think it is a must get for out door activity goers if you go fishing, camping etc. Great to hear that you are a Leatherman fan. There are so many versions of the Leatherman that I can’t quite remember which one has only 8 or 9 tools. Many of these Multi-tools are quite specific to certain applications. For example, the RE- BAR version with 17 tools or the Super Tool 300 which has 19 tools. As you mentioned, at 8.5 oz., these multi-tools begin to get somewhat heavy and bulky, however I find that for 1/2 pound of weight, 17 high-quality tools, is a good weight to function ratio. Leatherman Multi-tools have an excellent history and track record. With a 25-Guarantee and made in the USA, your investment is one that you will most likely not regret. How much of a downside do you think it is that it weights so much. I am also going to assume that it is a little bulky too.